Local Saugatuck-Douglas professional photographer, wonderful mother, our bubbly and enthusiastic artist, Kim Zahnow is multi-talented. She splits her time between Lumachrome Face-mounted Photography and Encaustics. 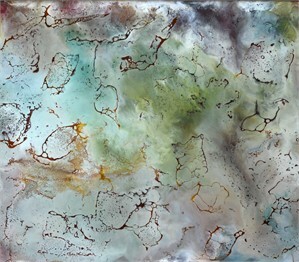 When working with Encaustics, Kim blends beeswax resin shellac and pigments until they come to life under her torch. 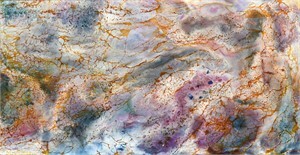 Unlike other paints, encaustic is never wet or dry. It goes from a liquid to a solid state and back again in seconds, allowing additional layers to be added immediately. Kim Zahnow can often be found around town and along the beaches with her camera. She takes photographs in a way that allows us to see the world as a piece of art. 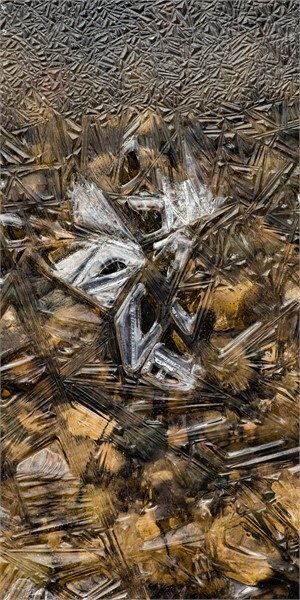 "I have a life long fascination with the natural science, patterns & organic details found in nature. I invite you to explore the colors and textures that Mother Earth provides, and connect with the abundant beauty that surrounds us through the eye of my camera." Kim Zahnow. The almost shocking clarity and intensity of Kim's facemounted photographs is due to tiny iridium particles that are encapsulated and suspended in a layer between the white poly surface and the optically clear glass. The light that is refelcted off the print is visually trapped within the acrylic of the glass and when properly lit appears to be illuminated or back lit. As the quality and direction of light in your space changes throughout the day, the luminescence of the art will change as well. Kim is a local artist and resides with her very creative children in Douglas Michigan. Local Saugatuck-Douglas professional photographer, wonderful mother, our bubbly and enthusiastic artist, Kim Zahnow is multi-talented. 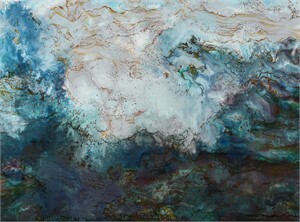 She splits her time between Lumachrome Face-mounted Photography and Encaustics. When working with Encaustics, Kim blends beeswax resin shellac and pigments until they come to life under her torch. 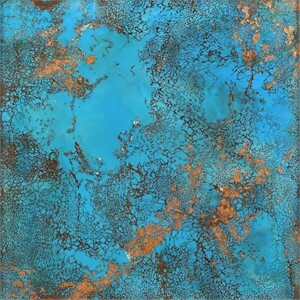 Unlike other paints, encaustic is never wet or dry. It goes from a liquid to a solid state and back again in seconds, allowing additional layers to be added immediately. Kim asks you to consider that, “it takes two million unseen flowers for a bee to produce enough wax to complete one of her Encaustics. Each one is a gift from the Universe.” Kim Zahnow can often be found around town and along the beaches with her camera. She takes photographs in a way that allows us to see the world as a piece of art. "I have a life long fascination with the natural science, patterns & organic details found in nature. I invite you to explore the colors and textures that Mother Earth provides, and connect with the abundant beauty that surrounds us through the eye of my camera." Kim Zahnow. The almost shocking clarity and intensity of Kim's facemounted photographs is due to tiny iridium particles that are encapsulated and suspended in a layer between the white poly surface and the optically clear glass. The light that is refelcted off the print is visually trapped within the acrylic of the glass and when properly lit appears to be illuminated or back lit. As the quality and direction of light in your space changes throughout the day, the luminescence of the art will change as well. Kim is a local artist and resides with her very creative children in Douglas Michigan.